Pass your child through the fire? This month begins the traditional celebration of Hallows Eve. 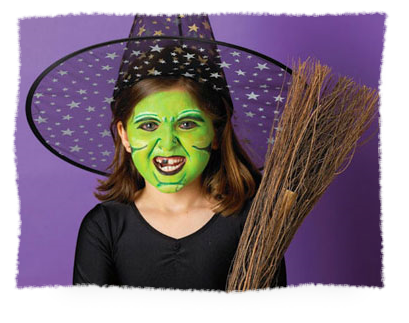 The time where children and parents alike dress up in costumes and throw parties and trick or treat. As children of the Most High, , we must prepare our children and our homes for unwanted displeasure towards our choices against celebrating such a pagan day. The reason I am posting this today is because my youngest daughter’s best friend asked her to be her trick or treat partner this year. This child’s parents only want my daughter to be with their daughter that evening as they trust her. Yet, this child knows we do not celebrate such things. The memory disappears when “fun” is involved. I would guess many of you have young children. Many whom are surrounded by children who absolutely love this particular day of the year. Therefore, I am also certain that your children will be bombarded with much questioning as to why they won’t dress up, go trick or treating or even go to a house party filled with ghosts and goblins. (Assuming Halloween is not celebrated in your household) Thus causing your child or children to feel the odd one out, made fun of and much more. This is where parenting can become a struggle. For certainly we know how children can question authority, especially when it comes to something everyone else is having fun doing. therefore the world hateth you. Notice the picture above. Notice the little girls expression. How she glares at the camera with an evil sneer. Now really pay attention to what she is doing. If your child looked at you like this on any other day, there would be some concern as to why such a face. Why such a demeanor. Yet, for millions of parents who allow their children to join in the festivities of this day, it is considered cute and funny. I ask each reader to truly ponder upon what I am trying to say here. Many understand the spiritual battlefield and war that is happening around us. Many grasp that something can take over a person in an instant and leave either willingly or unwillingly. Some struggle their entire lives with intense demonic wars in their lives. So I ask each parent…Why would we invite anything into our own children? As the saying goes….Never invite a vampire into your home. Each time we allow our children to pass through the stronghold of the enemy of souls, doors are opened. Doors that can effect them through their lives if they are unaware of the spiritual consequences. have heard quite a few obnoxious statements thrown at you. I know in our household we have. or an enchanter, or a witch. thy Elohim doth drive them out from before thee. Thou shalt be perfect with thy Elohim. thy Elohim hath not suffered thee so to do. If you take the time to watch the video below, it may help with responses as to why your family chooses not to celebrate such a day. Share it with your children. Each year since my family arrived back in the USA, I have sat with them to show them research and videos along with scripture. They spent most of their lives away from this day. Now that we are back, it has become quite the challenge to keep them free from the peer pressures of Halloween. It is not in innocent fun as most like to claim. The deceiver of souls embarks yearly to capture and intrigue the most innocent. I pray your house is kept peaceful during this season. This entry was posted on Monday, October 1st, 2012 at 10:16 PM	and tagged with commandments, Devil, doctrine, God, Halloween, love, Messiah, minister, Psalm, QuietBuck, Satan, savior, scripture, torah, tradition, Truth, Un Holy days, Yahuah, Yahuwah, Yahwah, YHWH and posted in Wife. You can follow any responses to this entry through the RSS 2.0 feed.